Hey, everybody! 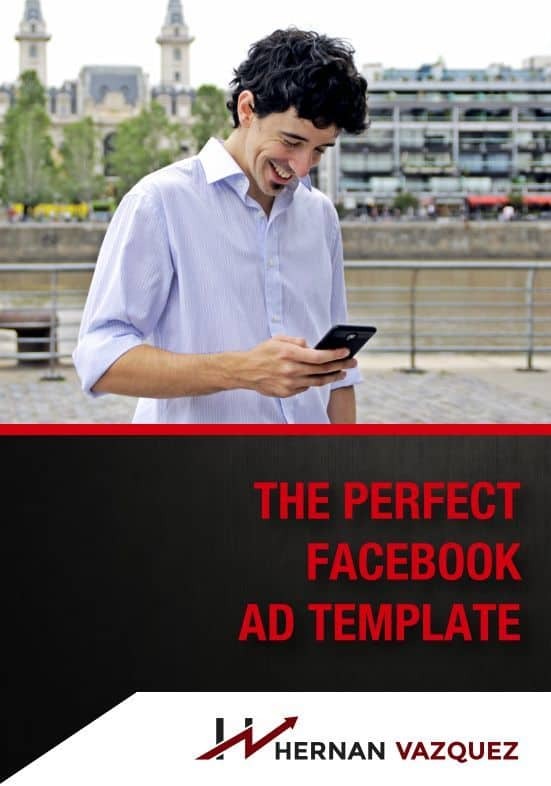 On this video, I want to tell you the most important thing that you need to have in mind when it comes to scaling your Facebook ads campaign. 1 – ROI: The first step to scale is to actually have a big ROI on lower budgets.The more you spend on advertising, the least your ROI and the return on your ad spending. You'll reach bigger and colder audiences and, that means that invariably, your cost per acquisition will go up. 2 – Risk-Reward: You need to understand is the risk-rewards ratio. Decide how comfortable you are with the risk and how money you are willing to spend because what you're doing on Facebook ads and on Google is buying data. You need to be ready to actually lose some money to make some money. 3 – Long-term thinking: What does this mean? Big companies are ready to make a little bit less money on the front end, so that they can make a lot of money on the back end. Bear in mind these steps and not only you will improve your Facebook ads campaigns, but also you will increase your business in the long term. What is the most important thing that you need to have in mind when it comes to scaling your Facebook ads campaign? Let's find out on this video. Hey guys, what's up? This is Hernan and welcome to another video and I'm really, really happy that you're here, thank you once again for watching this video and if this is the first time at this channel, welcome, don't forget to subscribe because I’ll be sharing a lot of the good stuff over the past two years. My techniques, my tactics and everything that has helped me taking my online ventures to the next level. A question that I get a lot of how I scale a Facebook ads campaign. Once I have it firing, once I have it really working out, how can I scale it to actually spend more money and make more money. That's a question that I want to answer on this video. With that said, if you really like Facebook ads, if you really like intra-marketing or digital marketing, if you want to know how to make more money with your product, with your services, if you're a coach, a consultant, if you have any commerce or … I would strongly suggest that you join the free Facebook group, it's 100% free and I share a lot of the good stuff over there too. Let's talk about Facebook scaling, which is kind of a taboo subject if you think about it. Let me tell you guys a bit of a story over the past, I would say, couple of months, I've been consulting with a client and we were spending any between 500 to $1000 a day and now we are closely ,five, $6000 per day and we want to scale that and many of you guys are watching this video and maybe some of you think that those numbers are kind of impossible to reach. And the reality is that if you think about it, with the amount of volume and the dynamic universe of Facebook, those numbers are not even making a dent. Let's talk about how you get from where you are right now, maybe you're spending, I don't know, $100 per day or maybe $500 per months of $1000 per month. 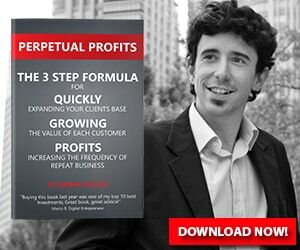 How do you get to scale so that you keep your profitability? This is the first thing that you need to have in mind. ROI is super, super, super important when you're scaling. It is said that when you're … and it's a fact, actually, that when you're scaling out, you're growing a campaign, when you're spending more and more on Facebook, what you're doing is you're reaching to colder, and colder, and colder audiences, right? For example, let's say you're promoting a webinar and at first, when you're spending, I don't know, 50 to 100, 200, $500 per day, or maybe $1000 per day, you will get some results. You will get maybe $5, $3, $8 cost per lead. The moment you start scaling and spending more money, you're reaching to bigger, and bigger and colder, and colder audiences, that means that invariably, your cost per lead, your cost per acquisition will go up. What basically means is that for each product or each service that you're selling, you will be making less and less money. Of course, you're compensated that with volume, meaning that if you had, I don't know, a five to one ROI, at $5000 a day, meaning that you're spending five K and you got $25,000 back, if you have a two to one ROI, one a $100,000 spent, that means you're spending $100,000 and you're getting $2,000 back, that's still a lot of money and that's still a decent result for your campaign. You want to have that in mind. The more you spend on advertising doesn't really matter if it's YouTube, if it's [inaudible 00:03:37], if it is Facebook, the more your ROI and the return on your ad spending, meaning your ROIs, will shrink. You need to factor that in whenever you're scaling. The first step to scale is to actually have a really, really big ROI on lower budgets, if you're kind of making some money on budgets, on small budgets, lets say $50 a day per asset, or $5 a day per asset, you're running 10 assets or you get $50 per day, if you have those kinds of results and you're kind of breaking even. Some days you're making money, some days you're losing some money, then that's probably not a mature enough campaign for you to scale it, so you need to go back, work on your creatives, work on your products, work on your margins and then once you have a winning product with a big ROI, you know, on a small scale, then that will be a good idea to start scaling. The second thing that a lot of people mistake when it comes to scaling, specifically on Facebook ads is that they think, “okay, if I'm spending, let's say, $100 a day on an asset and I'm having, I don't know, three to one ROI, if I spend $200 a day, the ROI will keep, so if I'm making $200 per day for each $100 that I'm spending. If I'm spending two, I should be making four”, and that's not exactly the case when it comes to Facebook advertising. Again, you're reaching to colder and colder audiences as you expand, so the cost per lead, usually the cost per click. The conversions will go down and it's a normal process, so you need to factor that in whenever you're scaling. The second thing that you need to understand is the risk towards ratio. This is kind of burning on day training.it's funny because Facebook ads are lately have been looking a lot like day training. That you're on top of your ads, you've kind of seen the metrics and whatnot and you will start uncovering these opportunities and these patterns. The reality is that there's there's this risk to reward ratio. Some people go crazy, some people want to scale from zero to $1000 a day or $5000 a day in a couple of weeks, and if you have the budget, if you have the buck up to actually make that happen, that's great, but think about that for a minute. If you're spending a lot of money, you're probably competing with people that have their offer dialed in, they have the follow-up sequence dialed in. You could be risking a lot of money. It all comes down to how comfortable you are wit risk and how money you are willing to spend because at the end of the day, what you're doing on Facebook ads and on Google, is that you're buying data. You need to be ready to actually lose some money to make some money because when you're starting out, you don't have seasoned pixel, you do not know what kind of creatives are the best and whatnot. There's this problem that you actually have to buy some data from Facebook, and a lot of people don't want to make money. They want to spend $1 in and immediately get $1 out, and that comes in time. The money that you're spending will give you the data that you need to make decisions. The third thing that you need to consider when it comes to scaling your Facebook campaign and taking it from $100 a day to 1000, maybe $10,000 a day, is the fact that you need to think long-term. What I mean by long-term is that the big companies, the way they work is that they are ready to make a little bit less money on the front end, so that they can make a lot of money on the back end. What do I mean with this? Well, there's a simple graphic on screen right now. Alright, let's say that you are paying $200 to get a new sell and you pay $200 and that's as much as you want to pay per sell. Let's say that you're selling a $400 product, whatever that is, so the most that you're willing to spend is $200. The reality is that will give you a two to one ROI, which is good on the front end. Most people think about that, they think about the front end alone. Now let's say that behind that $400, a couple months down the road or a couple weeks down the road, we're [inaudible 00:07:54] marketing, we're really targeting, you have another $400 product to spend. Now remember, you only have to pay for client or for a lead once, right? Once they are on your database, you can sell to them and send them off for pretty much forever. The reality is that when you have another $400 offer on the backend, or you have an upsell, a down-sell, a cross sell, what you're doing is to increase the lifetime volume for customer. Once you have that number, what you could do is spend a little bit more to acquire a customer. If you're spending, I don't know, $300 to acquiring a customer that will potentially make you $500 or $600 on the backend, that's how big companies grow. In fact, there's some companies out there, some big, big companies, meaning companies that are on the nine figure mark, that they're willing to lose money on the front end, in order to acquire a new customer. It is said, and I don't have it down in front of me but it is said that Agora Publishing, which is one of the biggest newsletters in the world, pretty much, and one of the biggest publishing companies in the world. They are actually losing money when they got you in their newsletter. It's $47 a year newsletter and they're actually losing money. But they are so certain about their backend, they're so certain about their upsells, their down-sells, their failure promotions, that's where the money sell, not on the front end. The front end is basically to break even so that you can make more money on the backend. This is something that you need to have in mind when it comes to scaling. Do you want to make money immediately? Of course, you want to make money immediately, I want to make money immediately, but if you really want to grow a business, no matter what kind of advertising you're using, what you need to have in mind is that you're buying new customers. You're buying new lads from Facebook, in order to market them pretty much forever. Once you have that in mind, nothing can stop you because the one that can spend more to acquire a new customer is the one that wins on Facebook and any kind of paid advertising. That's something that you want to have in mind when you come to Facebook, you want to think on the long-term because that's where's the money at. If you want to be doing this for the long run, then I strongly suggest that you think like that and that's where you can scale and that's where you can even break even on the front end, and it doesn't really matter, because you're building a super powerful business for years to come. Again guys, if you have any questions, whatsoever about this technique or any other technique, the mechanics of Facebook, how to create your lead value, how to get more leads, how to get more clients and whatnot. I suggest that you do two things, number one, that you subscribe to my YouTube channel. There's going to be a link somewhere around here, or you can click the subscribe button, and then you come and join the free Facebook group. It's 100% free, all you need to do is to go to HernanVazquez.com/facebook and answer some questions and you will be more than welcomed to join the free Facebook group. Thank you once again, guys, for watching and I'll see you on the next video. Bye-bye.